We have with us 13 shows which were excellent with the online audience the last month. Giving some good performances, these shows gelled well with the fans. Fans tweeted about these shows using their respective hashtags the whole month and trended them well. The 13 shows have been ranked on the basis of the average daily tweets that the fans have tweeted over the last month. In the top 12, we also have few shows which are no longer aired. 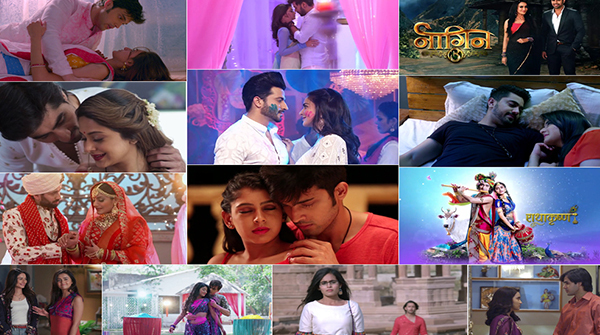 But the passionate fans never forget to show some love to their favourite soaps! So here we go. On rank 12 we have the old favourite Kaisi Yeh Yaariaan. The show has been peeking online quite lately, and all thanks to the fans who have kept the show alive on the digital medium. The last season of Kaisi Yeh Yaariaan was released as a web series on online streaming platform Voot, which was a hit with the audience. The hashtag #KYYOnVoot trended the last month with around 110 daily tweets. Naagin 3 needs to end!!! KZK 2 is going nice!! !